Although most vaccines were introduced less than a century ago, vaccine rejectionists have already managed to forget the toll taken by vaccine preventable diseases. By ignoring history, they are preparing to repeat it. With the exception of smallpox, vaccine preventable diseases are still out there and still capable of killing large numbers of children. And vaccine rejectionists, through a combination of breathtaking ignorance and mind boggling gullibility, are creating the conditions for new and deadly epidemics. 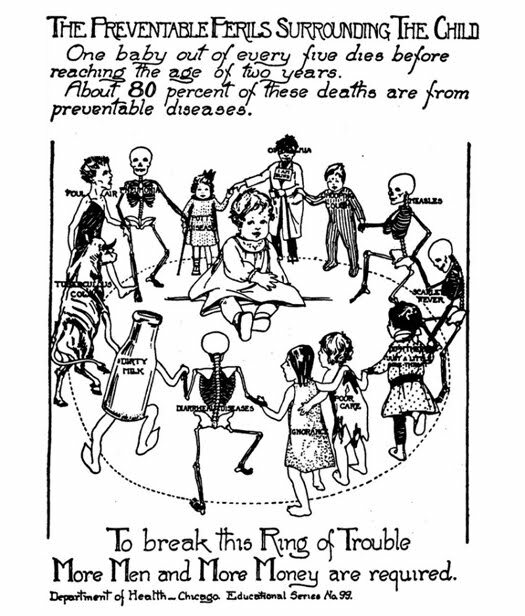 The following poster, prepared by the Chicago Department of Health at the turn of the last century should serve as a useful aid to historical reality. One baby out of every five dies before reaching the age of two years. about 80 percent of these deaths are due to preventable diseases. In the intervening century, vaccines have been developed for whooping cough, measles, diphtheria, some forms of pneumonia and some forms of diarrheal disease. Any or all of these diseases could return if vaccination rates drop low enough. 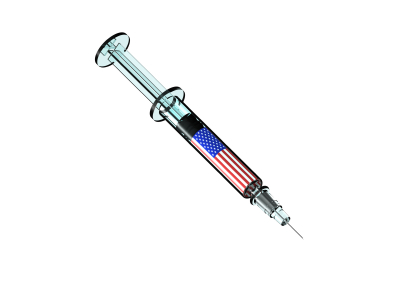 If the vaccine rejectionists have their way, that is precisely what will happen.